Have you thought about selling on Amazon but have been turned off by having to think of something to sell? With Amazon raking in a whopping 178 billion dollars in 2017, there are lot of opportunities to make money with the retailer. A lot of people feel that Amazon is too saturated and that in order to make money, you’d have to sell your own products, but that’s simply not true. 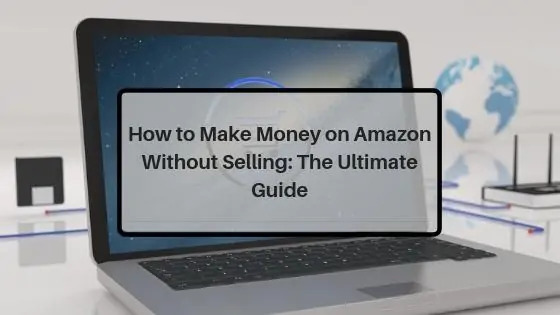 I’m going to show you three ways people are using to make money on Amazon without selling any of their own products! With an Amazon account, you’re eligible to sign up for the Amazon Associates Program and be an affiliate. The good thing is you can start as soon as possible. And you don’t have to pay a single penny to make money as an Amazon affiliate. Once your Amazon account is up and running, just sign up as an affiliate. As an Amazon affiliate, you can promote products from virtually all Amazon geographical locations. 1. On the Amazon Associates homepage, choose Browse Products. 2. Next, you’ll be taken to a page with a drop-down menu of product categories. Select a product category from that drop-down menu. Then choose the product you want to promote. 3. Next, click Get Link on its right. This will lead you to a page where you can customize and get the HTML code for the type of product link you want to use. 4. Finally, copy the HTML code and paste it on a section of your blog or on your blog post. 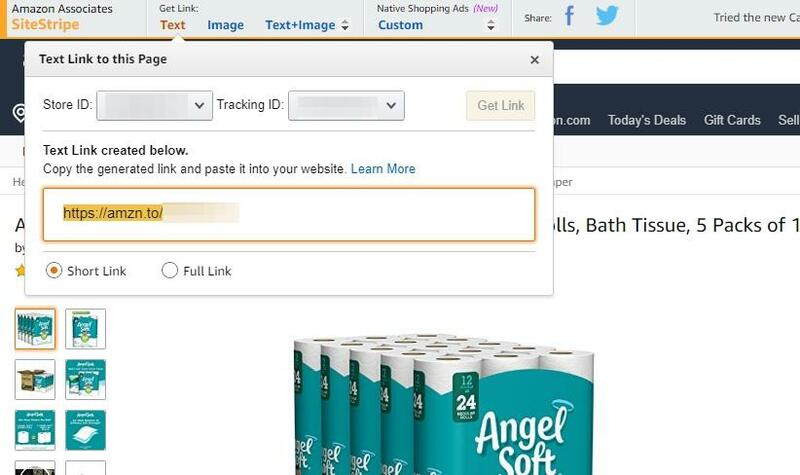 With Amazon’s affiliate marketing program, you can earn commission every time someone buys a product through special tracking links. The percentage of your commission is fixed at 4%. The catch is you only have three months to make a sale after signing up for an affiliate account. The platform will close your account if you fail to do so according to Amazon’s terms and conditions. However, if you execute your plan correctly, it shouldn’t be impossible to earn your first commission within that period. To do this, you need to find the best keywords for Amazon products that you can promote on your site. Thankfully, Long Tail Pro has got you covered in this regard. Plug in your seed keyword or the Amazon product that you want to promote on your blog. The tool will then extract hundreds of long-tail keywords that you can optimize for your content. Aside from the search volume, Long Tail Pro shows you the Keyword Competitiveness of each keyword. The lower the KC, the easier it is to rank for that keyword, so the more reason for you to target it for your content! You can start as an Amazon affiliate immediately. Be patient and keep on improving your affiliate sites. A 4% commission isn’t much. But for practically zero capital, along with the ability to promote an unlimited number of products on the world’s top internet marketplace, you should be glad the offer is on the table. Use Long Tail Pro to help you unearth low-hanging fruit keywords that you can optimize for your blog or site with your affiliate links in it. And then there’s Amazon Mechanical Turk or MTurk. It’s a crowdsourcing service where you can also make money on Amazon without selling products. To start making money on Mechanical Turk, you need to sign up as a worker, which is also known as a turker. There, you can complete easy jobs, called HITs or Human Intelligence Tasks, for a small payment. Write Google search descriptions – Search for a keyword phrase on Google, copy the text as specified by the task and paste it on the platform. Each task costs around $0.15 on average that can be completed within 20 seconds. Write short transcripts – Transcribe a short audio in words. For an hour, you can earn $3-4, which includes the bonus. Surveys – Get paid for answering a short survey. It’s possible to earn around $8 for every 10 surveys you complete. The thing you need to know about being a Turker is to put in the work to profit from the platform. And you can only do this if you get in the zone for hours and commit to your tasks 100%. You can make money by sitting at home in front of your computer. MTurk is far from a get-rich-quick scheme. But it’s a stable way to hustle on the side. Behind it is Amazon, which is a company with a praiseworthy reputation. You’ll get paid the right amount at the right time. Earning Amazon gift cards is one way to earn money on Amazon without selling products. Think of them as tickets to getting freebies. You can also use them to shop from top brands like Forever 21 and Starbucks. They may not be convertible to cash. But they sure do work like cash. These gift cards have no expiration dates. And they’re available in different amounts — from $10 to $2,000. With them, you can purchase products that are sold on Amazon. You can use these gift cards in lieu of using actual cash. Consistency is key. You may not earn a lot of points instantly. But if you regularly participate in programs, you could earn a decent amount of points. And you could exchange these points for gift cards by the end of the month. Keep an eye out for programs that offer gift cards. Beyond the ones mentioned, there are more! The ways mentioned above can help you make money on Amazon without selling anything. And the amount of money you can make is totally up to you. However, it is important to choose which among the three is the best one for you. If you want to generate an online business and earn thousands of dollars for your site, then being an Amazon Affiliate is the best route for you. If you thrive on working on small tasks and want a side hustle, then sign up for an MTurk account. If you want to make money from doing a variety of tasks during your spare time, then earning Amazon gift cards is perfect for you! Prepare a strategy and stick with it. Find the path of least resistance so you can maximize your earnings. Be patient. You probably won’t make lots of money in your first few months. But if you remain steadfast and get the hang of it, you will eventually profit from all your hard work!